A Literary Odyssey: The Brothers Karamazov: Part 4/Finished. 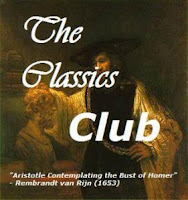 As I said in a previous post, I am reading The Brothers Karamazov by Fyodor Dostoevsky with a group of other bloggers. It is being hosted by Dolce Bellezza, who is also providing links to all of our thoughts. We'll be posting every Thursday in April about each part we read that previous week (4 parts in the book). You can read my review of the first part here. And my review of the second part is here. And the third part, which I finished last week, can be found here. I am really quite proud of myself for finishing this novel. I almost gave up during Part 2, since I was so bored of the endless discussion, but I ended up pushing on and thoroughly enjoying the rest of the novel. After Part 2, the novel pushes forward with a lot of intensity. And I am going to talk quite openly about what happens, so if you don't want spoilers, stop reading. One of my favorite parts of the entire novel was at the beginning of Part 4, where Kolya eventually goes and visits Ilyushka with the dog. The scenes with the two boys, watched by Alyosha (one of the brothers) are touching. It is almost as if Kolya is forgiving Ilyushka for what he did to the dog. And since Kolya seems to be a boy that is in power, his forgiveness means everything to Ilyushka and his family. So of course, I was sad when Ilyushka dies rather than gets better, but it does serve as a great foil to the other central family in the novel-the Karamazovs. The Karamazov family is dysfunctional from the beginning and shows how circumstances and choice can bring you to where you end up. Father Karamazov, Fyodor, did not even raise his own sons, so he cannot claim to have any real influence on their growing up and the actions they then take as adults. They have seen the darker side of life through him and his actions towards them. Whereas in Ilyushka's home, his father seems to care deeply for him, and Ilyushka's "bad" actions are only a result of his love for his father, not like the Karamazov's hatred of theirs. Both of the families shows the opposite sides of life. Even with money, the Karamazov brothers are unhappy and vengeful, whereas in Ilyushka's home, love seems to triumph over all of the difficulty. The only thing that bothers me about the end of the novel is that we are never definitely told who murdered Fyodor. We simply must accept the circumstances and assume. Overall, I loved the novel. I think Dostoevsky created a piece that plays a lot on opposites and foils. Each of the characters fits a role and shows how choice and circumstance put them where they are, and sometimes, not even a result of their own circumstance. While I am not a pro at Russian literature, I would say that this novel really is a showpiece of Russia. It highlights village life and the Russian way of thinking about family, honor, and religion. For that, I am grateful, since I only know Soviet Russian history. In all, a beautiful novel and one that I know I will read over again. It was not nearly as daunting as I thought it would be and the translation was wonderful. 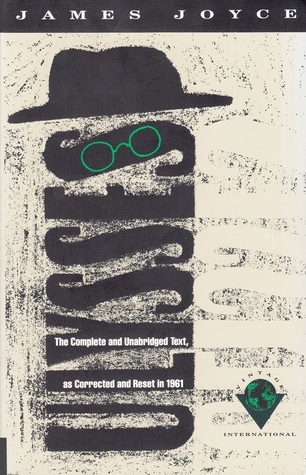 Now I only have 1 Dostoevsky novel left on my list for this project (The Idiot), but I think I am going to save it for a bit. And perhaps now that I have some courage, I may give that other Russian heavyweight a chance-Tolstoy. I would like to learn more about Russian history before I tackle another Russian novel. I have listened to The Idiot, but I don't think that was the way to go! When you do get around to reading it, I would love to hear your thoughts! I am so thoroughly frustrated with myself, because I wrote a very insightful and deep comment here, but was unable to publish it as I hadn't logged in to WordPress and cyberspace ate it. Now I come back weeks later and realize I forgot to say thank you so much for participating in this read along, for your posts, thoughts and reviews, for your enthusiasm and insight. I can't remember my original comment, at all, but it had something to do with you pointing out the boys and the dog and forgiveness; basically, I think that was one of Dostoevsky's themes that forgiveness covers a myriad of flaws. Anyway, your bookmark is coming, and again, thank you. It was so nice to meet you through this read along. 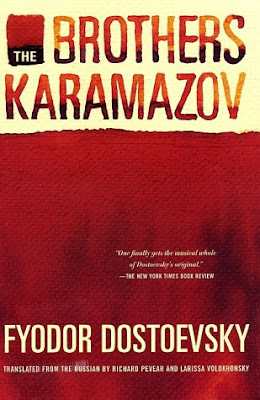 Hello Allie,I just finished The Brothers Karamazov (my first of the Russian authors). I enjoyed it, can't quite say I loved it. My favorite part was after Ivan had recited his poem, The Grand Inquisitor to Alyosha. Ivan asked if Alyosha would renounce him, and although he was clearly saddened, Alyosha kisses Ivan (just as Christ did to the inquisitor). As for the murderer, that seemed pretty clear to me. As far as I can tell, Smerdyakov admitted it to Ivan. "You murdered him; you are the real murderer, I was only your instrument, your faithful servant, and it was following your words I did it." He later goes into detail how and when he did it.